Explore Niagara Falls, Niagara-on-the-Lake and Niagara’s Wine Country on this beautiful bike trail tour. 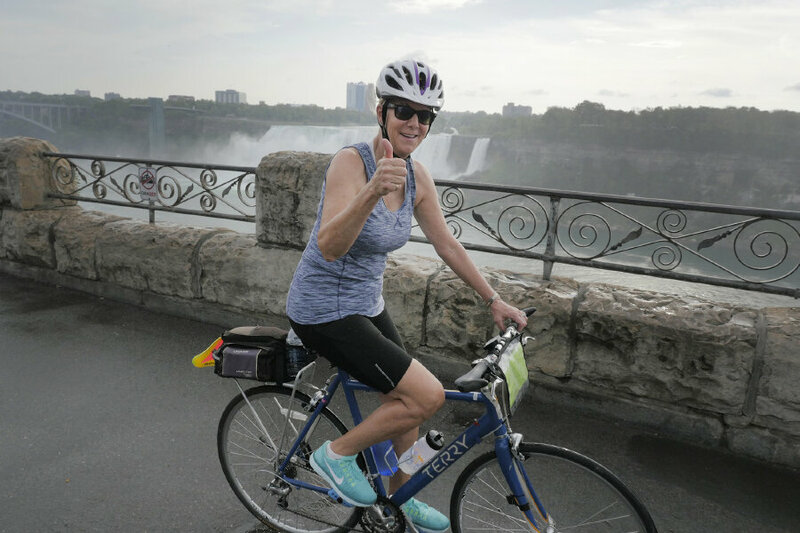 Experience the breathtaking grandeur of Niagara Falls, one of the seven natural wonders of the world, while cycling on bike paths free of motorized traffic. We’ll travel the Niagara Parkway, described by Winston Churchill as, “the prettiest Sunday afternoon drive in the world,” the Welland Canal, and Niagara-on-the-Lake, an historic town with world class theater, dining, shopping and estate wineries. The tour still has space. Make your travel arrangements. Flat terrain on nearly all bike paths closed to motorized traffic. Ride at your own pace. Leisurely cycling level. 3 nights lodging in double occupancy rooms, 3 breakfasts, 2 picnic lunches, 3 dinners, snacks, detailed cue sheets, maps and GPS cues, van support, luggage transfer & trained guides. 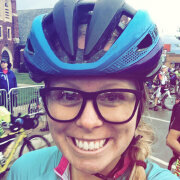 $195 for Specialized hybrid or road bicycle designed specifically for women. $295 for an electric-assist bicycle. Accommodations are subject to minor changes. Fly into and out of the Buffalo, NY airport or take Amtrak to the Depew train station. Then contact a commercial shuttle to take you to our starting hotel. WomanTours will provide a complimentary shuttle back to the airport or train station at the end of the tour, arriving by 1:30pm. Or drive and leave your car at our starting hotel for the duration of the tour. "It was an excellent tour with outstanding tour guides. This was my second tour with your company. Great, great, guides! Your tour leaders are delightful and met all of my needs. Very comforting to know if I get tired or need assistance they are there. I would never have the confidence to do this on my own and your SAG support makes me feel very secure. I look forward to having them again on my next tour or two." DAY 1: We meet in Niagara Falls, NY. Come dressed and ready to bike for our orientation at 1:00pm. Then we’ll conduct a rental bike fitting and have our first bike ride together through Niagara Falls State Park, the oldest state park in the nation. We’ll explore Goat Island, set in the middle of the Niagara River between the American and Canadian Falls, and enjoy the views of the giant whirlpool rapids in Whirlpool State Park. If you arrive early, take a boat ride right up to the falls on the Maid of the Mist, or visit the Cave of the Winds to experience the falls from another perspective. Enjoy the view of the American Falls within walking distance of our hotel before our first dinner together. 11 or 20 miles. 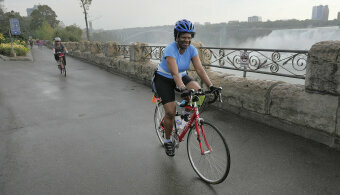 DAY 2: After breakfast, we will bike across the Rainbow Bridge into Canada to view the famous Horseshoe Falls. 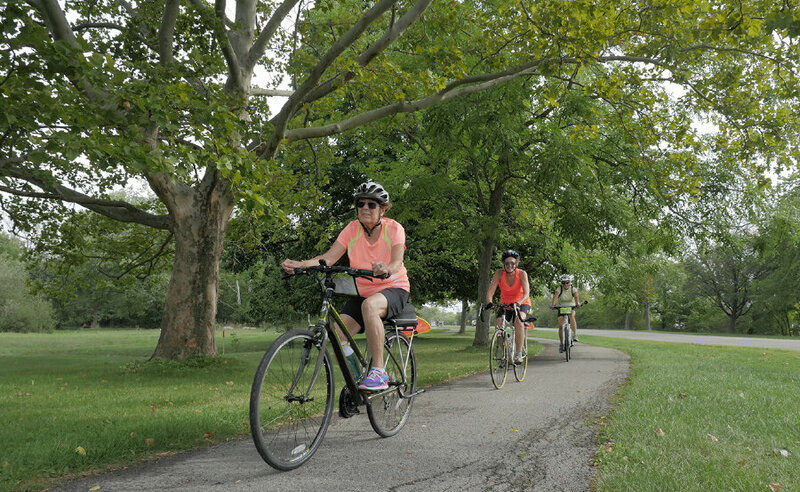 Then we’ll ride along the southern half of the scenic Niagara River Recreational Trail to Fort Erie. The paved trail takes us past the falls, the roaring rapids and right along the beautiful Niagara River until it meets Lake Erie. 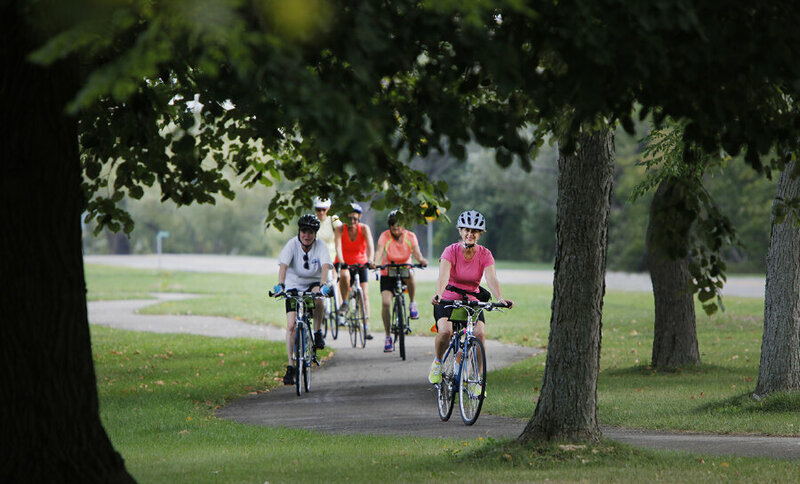 From there, we will connect to the paved Friendship Trail that will take us through shaded forests to Port Colborne, the town at the southernmost point on the Welland Canal. Completed in 1829, this important waterway takes ocean-going ships through eight locks up and down the Niagara Escarpment, bypassing the waterfalls to connect Lake Ontario and Lake Erie. We’ll bike the paved Welland Canal Trail and complete in an afternoon what it takes the typical freighter 11 hours to finish. We’ll overnight at our accommodations right on the banks of the canal. Be sure to have your passport with you. 29 or 46 miles. DAY 3: Today we continue along the northern portion of the Welland Canal Trail. 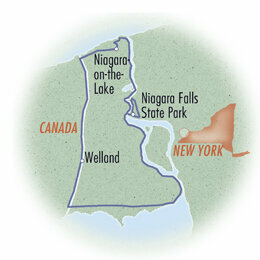 Once off the trail, we’ll enter Niagara wine country, home to over 70 award-winning wineries. The last few miles of the day will be on roads with wide shoulders past vineyards, wineries and orchards. The warmth of the water of Lake Ontario makes this region especially suited for grape, plum and peach growing. Lunch is on your own today, so you can choose to stop at a winery and learn about the region’s famous ice wine. Or wait until you arrive in Niagara-on-the-Lake and stop at one of its many bakeries, ice-cream or fudge shops. Niagara-on-the-Lake is a well-preserved 19th-century village with charming inns, upscale restaurants and elegant Victorian architecture. It is also home of the internationally acclaimed Shaw Festival. We’ll have an early dinner together at our elegant lodging to give you the option to see a theatrical production on your own or stroll the historic downtown streets filled with interesting shops. 26 miles. DAY 4: After breakfast, it will be less than a mile before we’re back on the Niagara River Recreational Trail. This is arguably the most beautiful portion of the trail, following along the Niagara River where the color of the water is an incredible green - a result of the minerals scraped from the rocks when the water flows over the falls. Once back in Niagara Falls, we will cross over the Rainbow Bridge to the U.S. back to our starting hotel. We’ll have one last picnic lunch together before we say our good-byes. Then WomanTours will provide a complimentary shuttle to the Buffalo airport or train station, arriving by 1:30pm. 15 miles.